In her final film appearance, Kay Francis plays Sheila, the slinky, seductive mastermind of a marriage racket preying on ex-servicemen. Sheila's stable of "brides" marry homecoming GIs for their military allotment pay, then dump their hubbies and abscond with the dough. Trouble brews when Sheila's grown daughter Connie (Teala Loring), unaware of her mother's criminal activities, pays a visit. Justice triumphs in the end, though Sheila is afforded a terrific exit line before receiving her comeuppance. 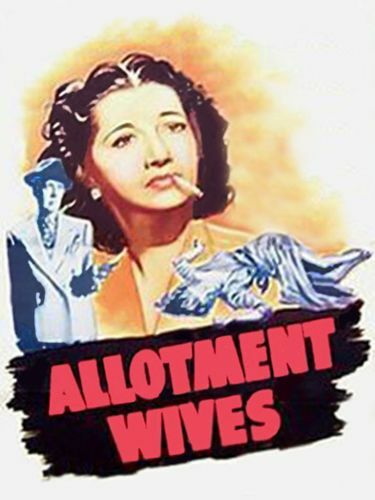 Filmed with full cooperation of the Office of Dependency Benefits, Allotment Wives Inc (retitled Allotment Wives for TV) was coproduced by Kay Francis and released by Monogram.